MR. SPEAKER, SIR: It has fallen to my lot often to refer in this House to the death of a colleague or a great man. I have to perform that sad duty again today in regard to one who was with us a few days ago and who passed away rather suddenly, producing a sense of deep sorrow and grief not only to his colleagues in Parliament but to innumerable people all over the country. It has become almost commonplace, when a prominent person passes away, to say that he is irreplaceable. That is often true; yet I believe that it is literally and absolutely true in regard to the passing away of Maulana Azad. We have had great men and we will have great men, but I do submit that the peculiar and special type of greatness which Maulana Azad represented is not likely to be reproduced in India or anywhere else. I need not refer to his many qualities, his deep learning, his scholarship and his great oratory. He was a great writer. He was great in many ways. He combined in himself the greatness of the past with the greatness of the present. He always reminded me of the great men of several hundred years ago about whom I have read in history: the great men of the Renaissance, or in a later period, the encyclopaedists who preceded the French Revolution, men of intellect and men of action. He reminded also of what might be called the great quality of olden days—the graciousness, a certain courtesy or tolerance or patience which we sadly seek in the world today. Even though we may seek to reach the moon, we do it with a lack of graciousness or of tolerance or of some things which have made life worth-while since life began. 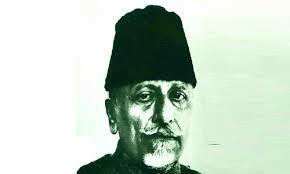 It was the strange and unique mixture of the good qualities of the past, the graciousness, the deep learning and toleration, and the urges of today which made Maulana Azad what he was. Everyone knows that even in his early teens he was filled with the passion for freeing India and he turned towards ways even of violent revolution. Soon after he realized that violence was not the way which would gain results. Maulana Azad was a very special representative in a high degree of the great composite culture which had gradually grown in India. He, in his own venue, in Delhi or in Bengal where he spent the greater part of his life, represented this synthesis of various cultures which had flowed in and lost themselves in the ocean of Indian life and humanity, affecting and changing them and being changed themselves by them. He came to represent more specially the culture of India as influenced by the cultures of the nations of Western Asia, namely, the Persian culture and the Arabic culture which have affected India for thousands of years. In that sense, I can hardly conceive of any other person who can replace him, because the age which produced him is past. A few of us have some faint idea of that age which is past. Change is essential lest we should become rooted to some past habit. But I cannot help expressing a certain feeling of regret that with the bad, the good of the past days is also swept away and that good was eminently represented by Maulana Azad. There is one curious error to the expression of which I have myself been guilty about Maulana Azad’s life and education. Even this morning the newspapers contained a resolution of the Government about Maulana Azad. It is stated that he went and studied at Al Azhar University. He did not do so! It is an extraordinary persistence of error. As I said, I myself thought so. Otherwise, I would have taken care to correct it in the Government resolution. The fact is that he did not study at Al Azhar University. Of course, he went to Cairo and he visited Al Azhar University. He studied elsewhere. He studied chiefly in Calcutta, in the Arabic schools as well as in other schools. He spent a number of years in Arabia. He was born there and he visited Egypt as he visited other countries of Western Asia. We mourn today the passing of a great man, a man of luminous intelligence and mighty intellect with an amazing capacity to pierce through a problem to its core. The word “luminous” is perhaps the best word I can use about his mind. When we miss and when we part with such a companion, friend, colleague, comrade, leader and teacher, there is inevitably a tremendous void created in our life and activities. © 2019 Indian Overseas Congress USA | All right reserved. Credited with having laid the foundation for India’s telecommunications and technology revolution of the 1980s, Mr. Pitroda has been a leading campaigner to help bridge the global digital divide. During his tenure as Advisor to Prime Minister Rajiv Gandhi, Mr. Pitroda led six technology missions related to telecommunications, water, literacy, immunization, dairy production, and oilseeds. He was also the founder and first Chairman of India’s Telecom Commission. In these plural roles, Mr. Pitroda helped revolutionize India’s development philosophies and policies with a focus on access to technology as the key to social change.